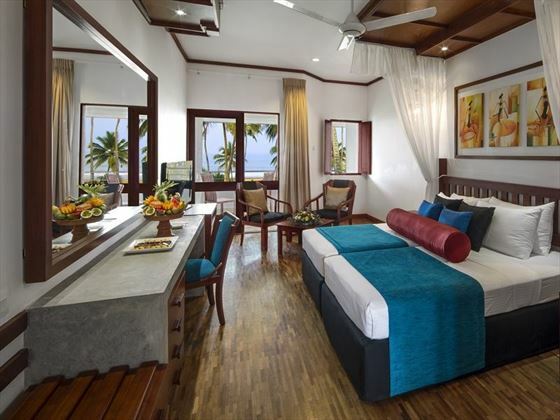 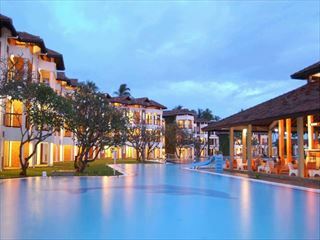 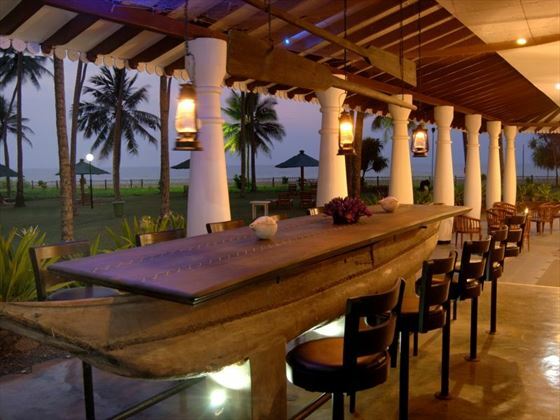 Tangerine Beach Hotel is a modern resort situated 40kms south of Colombo on the golden beach at Kalutara. 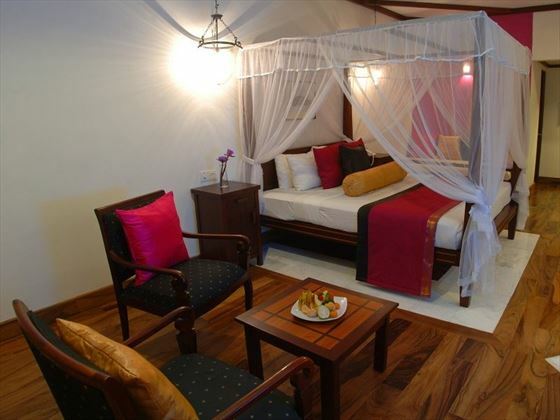 It is a quiet and relaxing hotel with good standards of accommodation and friendly staff. 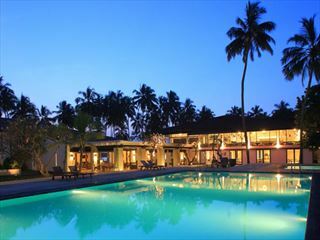 A coconut palm garden provides an ideal setting to relax and unwind under a swaying palm tree and taking in the glorious setting. 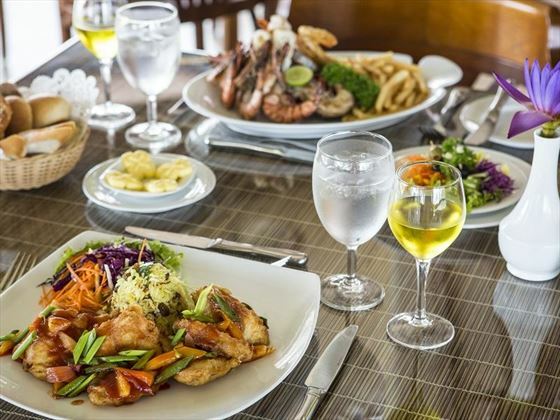 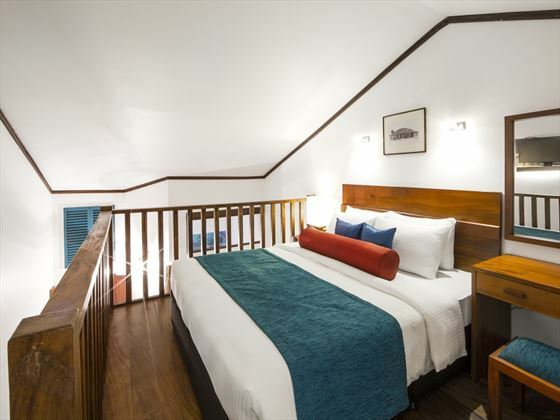 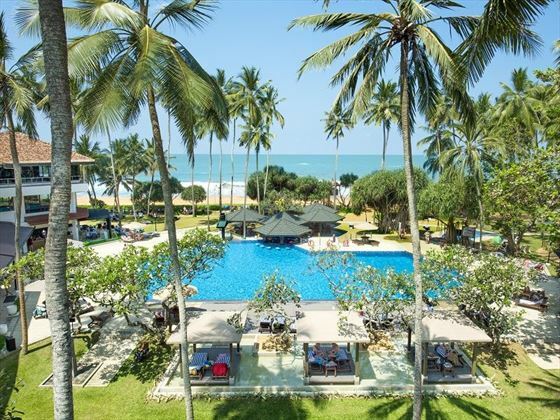 An excellent value for money hotel which also offers an All-Inclusive upgrade for a small supplement. 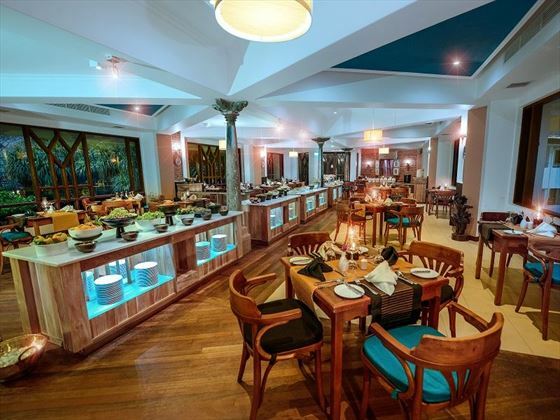 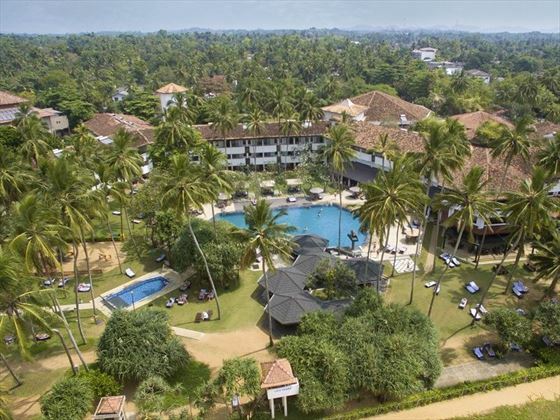 Further reading: Tangerine Beach, Kalutara is featured in our guide to the top 10 family hotels in Sri Lanka. 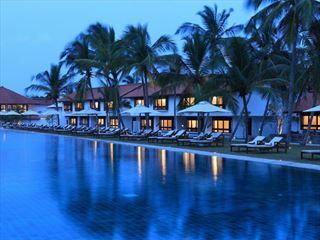 Located on the Western coast of Sri Lanka on the golden coast of Kalutara.